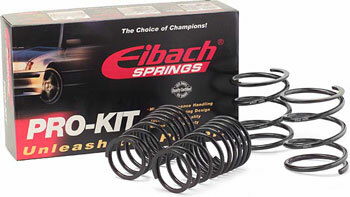 Intended to optimize performance of your 1990-1997 8-Series Bimmer, Eibach's Pro-Kit spring set is tuned to offer refined yet dramatically improved performance- as well as improved looks for the big, bad 8er. Your 840 or 850 will be like a new car all over again. While replacing springs, it’s a great time to also replace struts and shocks. This will further improve ride quality, response and performance. Make sure your suspension performs at its peak! Big thanks to Mr. Mike Garret @ GM-Classics.com for use of his car.